This doesn’t come through at the beginning of the series, which I fear is where most people give up and what most people judge Agents of SHIELD by. In the first fifteen episodes, the show goes through multiple identity crises. What do you do with a show structured around a character who was never more than a plot function in his previous appearances? Is this a show for children/families or adults? Somewhere in between? Who the hell are these characters and why should we care? Featuring a crack team of top agents globe-trotting for no apparent reason except cool-factor, it’s not even a “bureaucracy and action” spy thriller. The fact remains that Agents of SHIELD spends two-thirds of its first season as a desperately terrible case-of-the-week series with some hacky sci-fi elements and forced Marvel references thrown it. It’s not even compelling. I legitimately gave up on it six times before I devoted my life to it got into it for good. Another thing it took forever to figure out was where it fit into the MCU on the whole. Agents of SHIELD was Marvel Studio’s first experiment in storytelling outside of films. There were the one-shot shorts included on Bluray releases, but television is a different narrative beast altogether. Now, given the serial nature of comic books, Marvel stories should be perfectly suited to television structure. Yet it took Agents of SHIELD months to understand how to use its screen time. I’ll get into the narrative and genre conventions of cult/sci-fi television in my next installment in this essay series. What needs to be addressed, however, is the awful, forced Marvel references peppered throughout the first fifteen episodes. The Thor: The Dark World crossover was glancing and dismissive. Somehow, aliens tearing London to pieces didn’t really change the status quo of this universe. Our protagonists simply swooped in and cleaned up the mess. The crossover was also the second episode to air after the film was released; not too swift in the scheduling department. Ironically, the worst and most glaringly forced references are in the only episode out of the first fifteen that I consider worth a damn. I’ll use 1×06 “FZZT” as my case study. 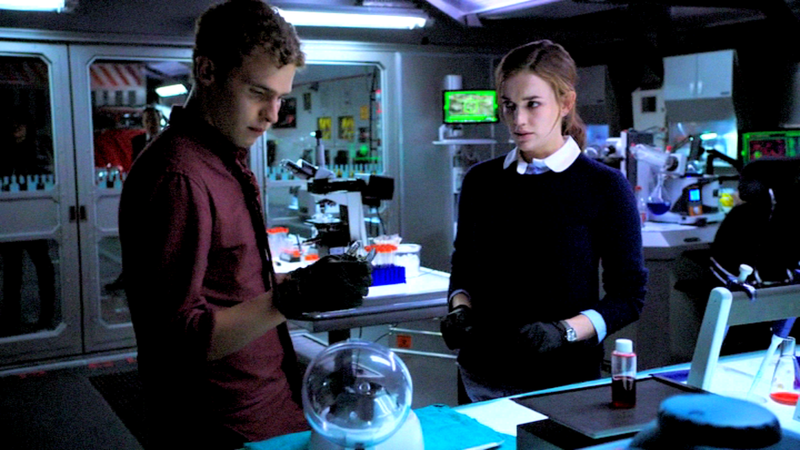 And maybe, just a little bit, I’ll talk about FitzSimmons without devolving too much into my love affair with them (seriously: 4 out of 9 planned essays in this series are about Fitz and Simmons.) Episodes 1×01-1×05 are all high-octane mystery cases trying desperately to be cool. In their desperation to impress, they never effectively allow the audience to connect with the characters rendering the action sequences tedious at best. The first twenty minutes of “FZZT” feature yet another sci-fi mystery. Yet even in this mystery section, there’s the innovation of referencing events from The Avengers. They don’t quite deal with the fallout, but this is the first time the show actively confronts the fact that events from the Marvel films are real in this universe. It was the first glimpse of Agents of SHIELD‘s potential. Where “FZZT” really shines is in the second half where one of the main characters is in jeopardy. Simmons catches the alien illness from the mystery part of the episode and, for the first time, we’re shown that these characters are vulnerable, that they have emotional complexity, and that they face real dangers. 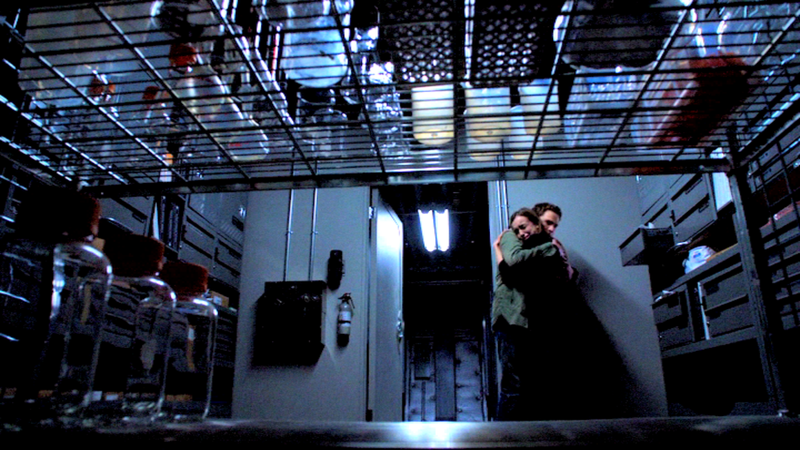 Where before this episode none of the characters were dimensional or compelling, suddenly both Fitz and Simmons reveal flaws, shared background, and internal lives. All in the course of about twenty minutes. It’s stunning in the midst of so much surface-level drudgery. They become individuals instead of contrived archetypes. And it’s absolutely the thing that kept me invested in the series even as it continued to be a trainwreck for months afterward. 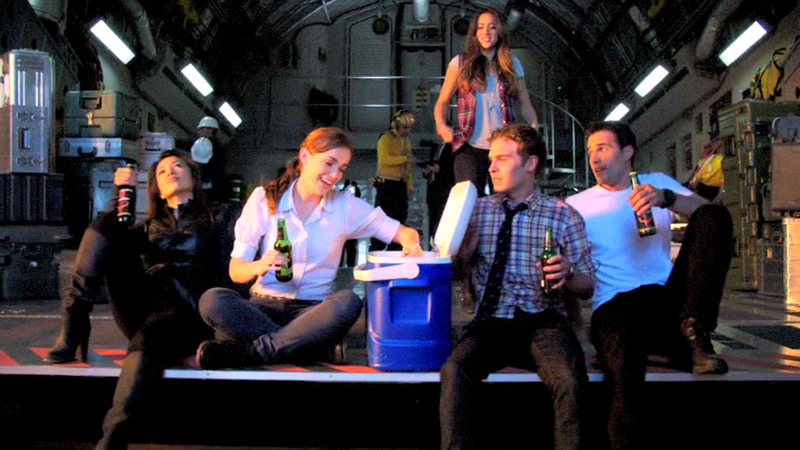 Fitz and Simmons aside, the rest of the characters were uninspiring. 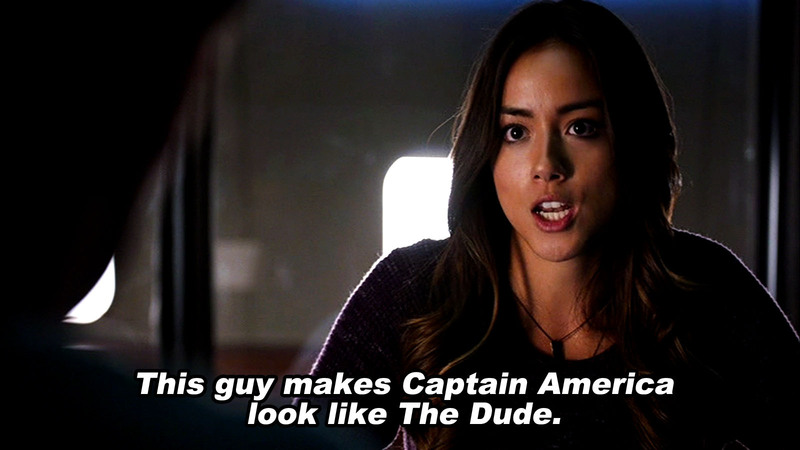 Poor Chloe Bennet both could not act and was given such horribly two-dimensional material that watching early-Skye is akin to nails on a chalkboard. Ward was so bland I literally called him “Cardboard Ward” (essay on Ward also forthcoming.) May’s character development hinges on a mysterious trauma in her past, yet she’s so closed-down that the character never registered for me. But Coulson was the true disaster. 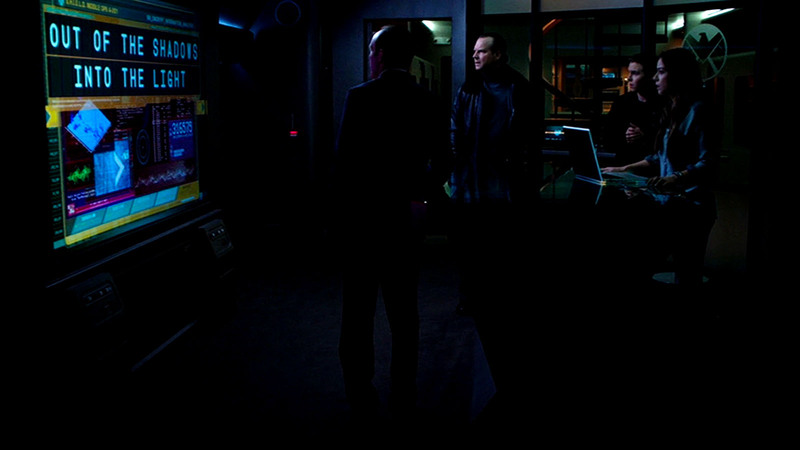 As the lynch-pin of this entire operation, finding Coulson’s character was essential to making the show work. It took about eighteen episodes for that to happen. Eighteen. There are places where these Frightful Fifteen could have been phenomenal. “The Well” is about a group of Norse pagans searching for “the power of the gods”—discovering their religious figures are real. Insanely racist, terrifying Norse pagans are an actual thing in the world. That story had potential. The execution was terrible. “Repairs” has one of the best arguments for a scientific explanation of ghosts to date, but the plot itself is better suited to a middle school dance. “The Hub” and “Seeds” both should have been phenomenal behind-the-scenes looks at SHIELD but are instead weirdly juvenile and disjointed. None of these cases-of-the-week are that compelling because nothing happens and the stories don’t say anything. If all the characters are safe, you might as well use the screen-time to make some kind of point. Instead we’re presented with sequences of events that have no consequence and never bother to examine the implications of superpowers, huge government bureaucracies, or aliens. You see? These two little jerks kept me in this endeavor the entire time. Ours is a long, complicated love. I owe them much. On top of completely failing to instill empathy for the characters in the audience, the show aired at 8PM (too early for any real grit) and the airing schedule of the first season was a trainwreck. 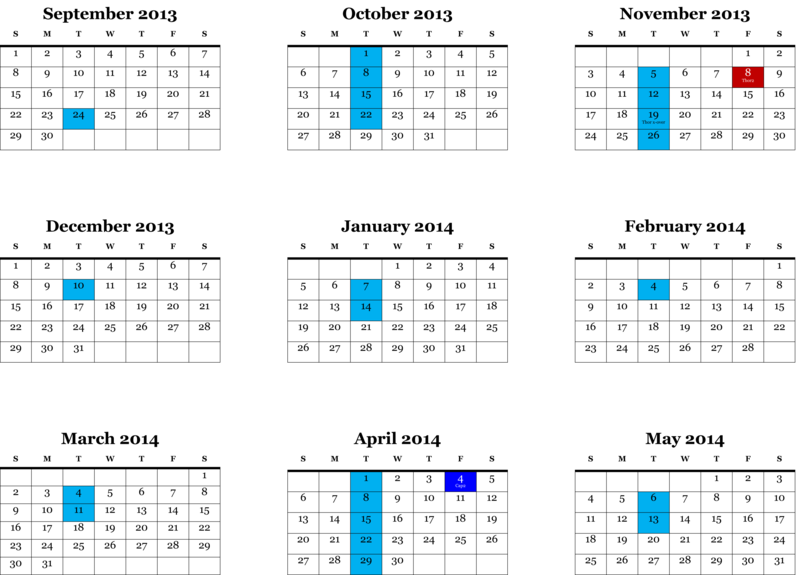 Weeks were skipped at random and with no notice. To top it off, halfway through the season, ABC.com went from making episodes freely available the morning after they aired to forcing you to log in with cable or satellite provider credentials to watch them until a full week had passed. I don’t know about y’all, but I have an antenna setup and every ABC station I’ve ever tried to pull in on antenna results in a battle of epic proportions. I’m convinced ABC broadcasts on the weakest settings they can legally get away with. Just trying to keep up with when episodes were airing, when you could watch, when they crossed over etc. was not worth the trouble. Wtf are you doing, Agents of SHIELD? Where all of this changed, was between 1×16 and 1×17 with the release of Captain America: The Winter Soldier. Winter Soldier exploded Agents of SHIELD‘s pristine vision of itself. Intentionally. It’s clear upon rewatching that the story was twiddling its thumbs waiting for the big event to happen. But that thumb twiddling was in no way interesting. The Centipede mystery is a swipe in the direction of cultish television narrative while managing to fail at it completely. The same goes for the “mystery” of how Coulson is alive—the reason pretty much anyone tuned in—which was dragged out for a full season and a half before it was even properly addressed. A season and a half. It turned out well, but it was so ham-fisted and annoyingly teased that anyone with a casual interest in the show tuned out after the first week. Ratings dropped from 12.12 to 8.66 after the “Pilot” and have steadily declined ever since. That’s disastrous. Winter Soldier is when Agents of SHIELD found itself. SHIELD’s fall is the first moment in the series when any of the characters are truly in danger, and it’s a moment that comes from outside of the series’ confines. The place the characters had carved for themselves is completely destroyed and their true mettle is exposed. Rather than seemingly single-handedly battling a global corporation with a mustache-twirlingly evil plot, our protagonists—by this point our actual heroes—are swallowed by the monumental events unfolding around them. It’s after Winter Soldier completely dismantles the status quo of the MCU that Agents of SHIELD becomes a more organic part of that universe. When the consequences from one work are more intimately dealt with in another, that’s fulfilling the true potential of transmedia storytelling. The Winter Soldier/Agents of SHIELD crossover revels in the fact that all of these things are contributing to the same story. But it took a long time for Agents of SHIELD to feel comfortable in that role. Agents of SHIELD is essentially two different series under one label: pre-Winter Soldier and post-Winter Soldier. Pre-Winter Soldier is like watching a bunch of shills throw tropes at a wall to see what sticks, hoping to engage fans while only having the slimmest conception of what fans might want or even how to tell a decent story. 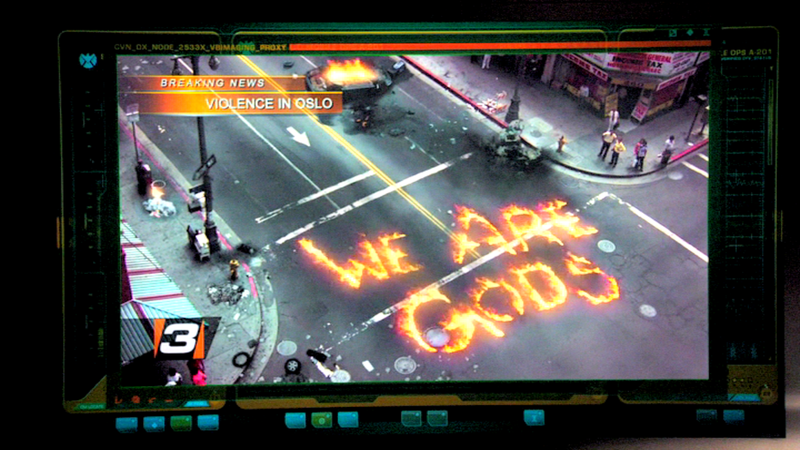 Post-Winter Solder is a goddamned masterpiece of interconnectivity, meta influence, science fiction conspiracy, and cultish convention. The characters become well-rounded and fleshed-out. The whole series is much more plot-driven. Most importantly, the story is more intimate and aware that the characters are its biggest asset. They might still jaunt all over the world, but it’s no longer a random application of bodies to anonymous problems. If they go on a mission, it’s relevant, the overall plot moves forward, and the characters grow. The great tragedy of Agents of SHIELD is that it starts so poorly that it runs potential viewers away. If you’re already into it, the first season is worth a rewatch. It’s almost cute. Nostalgic even. And I appreciate that the series doesn’t try to pretend the badness never happened. But even rewatching it makes it no better than it was before. It’s a bit like visiting a bizarre alternate universe version of what it has become.